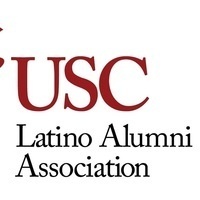 The USC LAA cordially invites you to a holiday reception and alumni panel discussion with remarkable Latinos maximizing their involvement at USC. Panelist includes Claudia Bodan ’01, Michael Felix ’83 , Tricia Sanchez ’91, and Susan Sifuentes Trigueros ’82 . Moderated by Ruben Davila, Clinical Professor USC Leventhal School of Accounting and Marshall School of Business.